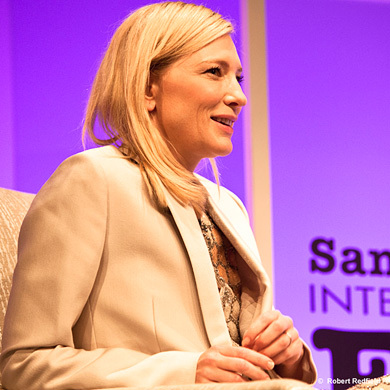 It is this same fierce spirit of expected confidence that gathered a sold-out house on Saturday night at the Arlington for Cate Blanchett’s Outstanding Performance of the YearAward for her recent role in Blue Jasmine. Yet the audience, in eager expectation of a Hollywood star, got way more than they bargained for in a two-hour interview conducted by film critic Pete Hammond. 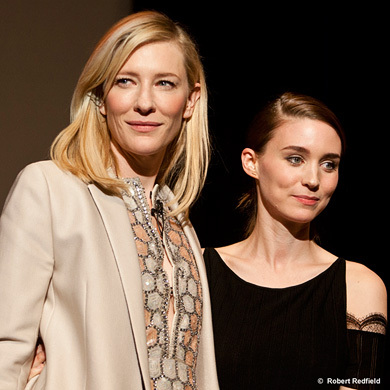 Simply, a Saturday night with Cate reminds us that we, as audience members, have lowered our expectations. We don’t expect Hollywood to deliver honesty, disclosure, vulnerability, the expressed impetus for brilliant community, and a call to higher gratitude. We expect to be star-struck, but we don’t expect to be challenged to live our own days, in the movies of our own mundane lives, in ways of exquisite risk. 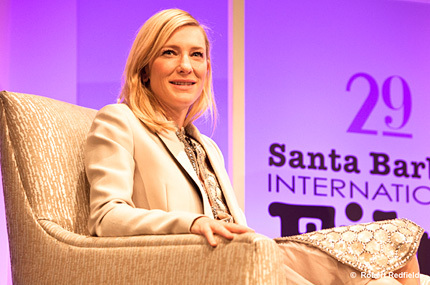 But that is what Cate delivered from her graceful seat on stage right and this is what the fortunate audience of the award ceremony received – two for the price of one. 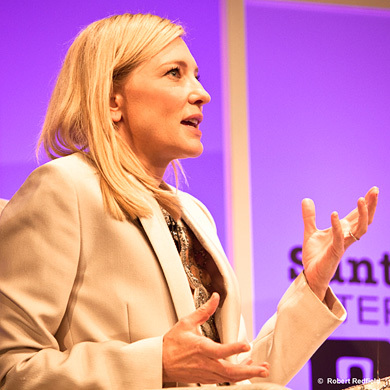 This is why we love Cate Blanchett and choose to honor her. Because she beckons Hollywood to emerge from its superficial tendencies and begs for it to rise to the standard of articulation it was designed to possess. To listen to her interview reminds us why Hollywood began in the first place – as a pathway for viewers to get lost in a story with real heroes and heroines, and ultimately to return to our mundane lives believing that courage is readily available and within our own grasp. To remind us all, as audience members, that outstanding performances – be they male or female – can exist in reality just as easily as it does in the fantasy of the silver screen. 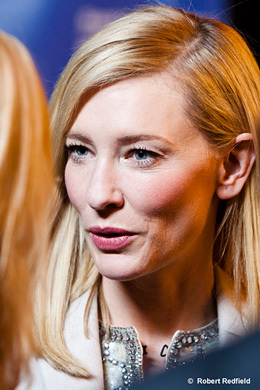 This balance between heroic fame and common skin, between strength and fragility, between finding the buoyancy amidst despair, is the crux of Cate’s masterful performance in Blue Jasmine. But as this evening at the Arlington reminded, taking center stage is far more than reading a script. You simply can’t act your way into this level of brilliance. Walking down the red carpet prior to her auspicious interview, I asked Cate, “What’s really the secret to working with Woody Allen?” and she calmly replied, “You show up, do your job, and make the most of every opportunity you can.” It sounds simple enough. But outstanding performances are never simple. And, in the next two hours, Cate provided us all with practical ways to live that reality out, insights on what it actually means to “show up” as Oscar performers of our own lives.